For the second time in three years, Shriners Hospitals for Children has received the highest rating as the most efficient health charity in the United States. That rating, published in the December 2002 issue of SmartMoney, came on the heels of a previous top ranking in 2000, when the publication conducted its annual survey on top charities in the nation. The magazine did not publish a survey on charitable giving in 2001 because of events surrounding 9/11. 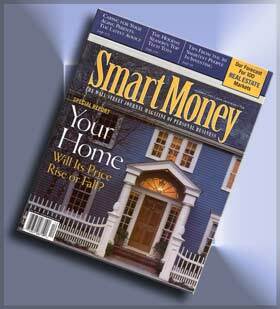 SmartMoney is the Wall Street Journal magazine of personal finance. In the article titled "Make Your Donations Count," Shriners Hospitals received the highest total score in the "health" category, garnering an 82.9 and, thus, edged out the Dana-Farber Cancer Institute by a tenth of a point. Several of the other charitable health organizations surveyed were the National Mental Health Association, Cystic Fibrosis Foundation, National Easter Seal Society, ALSAC-St. Jude's Children's Research Hospital, American Cancer Society and the American Heart Association. According to the 2002 survey, all of the participating charities were ranked based on program, fundraising and savings scores. Those who conducted the survey first looked at what percentage of the budget went to programs (65 points max); then, they looked at what percentage of each dollar raised was put back into fundraising — less is better (25 points max); and finally, they looked at the savings score (10 points max), which shows the percentage of funding that was "squirreled" away. Shriners Hospitals tallied scores of 51.4, 22.7 and 8.8, respectively, in each of the three ratings areas. The December 2000 issue of SmartMoney also had Shriners Hospitals outdistancing all of the other health organizations with a total score of 83.1.